In part two of this series I pointed out that some scholars view the presence of so many inconsistencies in the Paulines as due to insertions made to the letters by someone other than their original author. In line with this possibility, I have so far been examining one particular scenario based on certain peculiarities in the early record that seem to conflate Paul with Simon of Samaria. My hypothesis is that the Paul who wrote the original letters was the first-century Simon of Samaria and that the inconsistencies were caused by insertions to his text by a second-century proto-orthodox redactor. In this scenario the redactor’s aim would have been to turn Simon/Paul into a proto-orthodox Paul and thereby co-opt his letters for proto-orthodoxy. If this scenario is correct . . .
(Bart Ehrman, Forged pp. 244-5). These verses are present in one place or another of chapter 14 in all extant manuscripts that possess the chapter. Nevertheless, there are zigzags that are just too jagged even for many mainstream scholars to harmonize. This is one of them. It is a zag they find too hard to reconcile with other zigs like 1 Cor. 11:5. And it “interrupts the flow of the argument.” Its verses “seem to intrude in the passage.” So it is generally deemed acceptable to hold that “These verses in chapter 14 were not written by Paul” (Bart Ehrman, Forged pp. 244-5). But although for one reason or another Helen’s name may not have survived the redactor’s eraser, there are Pauline passages that, in my opinion, may still contain traces of her. This post will take a look at some of them. Am I not an apostle? Have I not see Jesus our Lord? Are not you my workmanship in the Lord? If to others I am not an apostle, at least I am to you, for you are the seal of my apostleship in the Lord. This is my defense to those who would examine me. Do we not have the right to eat and drink? Do we not have the right to take along a believing wife, as do the other apostles and the brothers of the Lord and Cephas? Or is it only [Barnabas] (…..) and I who have no right to refrain from working for a living? Is it for oxen that God is concerned? Does he not speak entirely for our sake? It was written for our sake that the plowman should plow in hope and the thresher thresh in hope of sharing in the crop. If we have sown spiritual things among you, is it too much if we reap material things from you? If others share this rightful claim on you, do not we even more? Do you not know that those who are employed in the temple service get their food from the temple, and those who serve at the altar share in the sacrificial offerings? In the same way, the Lord commanded that those who proclaim the gospel should get their living by the gospel. [But I have made no use of any of these rights, nor am I writing these things to secure any such provision. For I would rather die than have anyone deprive me of my ground for boasting… What then is my reward? That in my preaching I present the gospel free of charge, so as not to make full use of my right in the gospel]. There are several things wrong with this passage. . .
First of all . . .
Then, after abruptly returning for a couple of verses to a defense of his rights, Paul again protests that he hasn’t used them. This time he brings forward some different motives for his conduct: he preaches the gospel free-of-charge because, by sacrificing his right to compensation, he will have grounds for boasting and earn a reward. And another contradiction . . . But this claim to preach the gospel for free is contradicted by other Pauline passages, including one right in the second letter to the Corinthians. In 2 Corinthians 11:8 he says he took from other churches in order not to charge the Corinthians. So by his own admission, he did not go without. He just got the money from another of his congregations. How does that merit a reward? How is that something he can boast about? Another problem . . .
Another problem: the presence in this passage of Barnabas who is mentioned nowhere else in the two Corinthians letters. And even in the Acts of the Apostles Barnabas is not connected in any way with the Corinthian mission. Yet here in 1 Corinthians 9 his name turns up without a word of explanation, as if all the Corinthian Christians were expected to know him and to know that his apostolic rights too were being denied by someone somewhere. As Robert M. Price observes, it is “as if the interpolator did not recall which apostolic associate had been mentioned earlier and just thought of them, as modern readers tend to do, in one big lump” (The Amazing Colossal Apostle, p. 334). The Simonian hypothesis can plausibly resolve the problems . . . This is just the sort of interpretation for which Simon was upbraided by the proto-orthodox. The original passage was written by Simon/Paul and in it he defended his right to the monetary compensation needed to support him and his wife Helen. He was an apostle and, as such, claimed the rights of an apostle. One of the ways he argued his right to compensation was by interpreting allegorically the verse, “You shall not muzzle an ox when it treads out the grain.” Dr. Price aptly describes the attempt as a “blatantly allegorical interpretation which utterly dispenses with the original sense…” (The Amazing Colossal Apostle p. 334). I would point out that this is just the sort of interpretation for which Simon was upbraided by the proto-orthodox. And the assertions that God has no concern for oxen, and that the Old Testament verse about them was spoken “entirely for our sake” fits well with Simon’s system. The supreme God did not make material things (the sarkika i.e., fleshly things of verse 11) and so does not care about them. His concern is with the spiritual, the scattered elements of his invisible divinity that are lodged in us. No sign here of the proto-orthodox doctrine of a Creator God who provides for the birds of the air and the lilies of the field. As I see it, a proto-orthodox redactor subsequently introduced changes to the whole passage in order to hide the identity of the original author and remove Helen from the text. It was the redactor who brought in the confused waiver of rights as part of making the new Paul distinct from Simon. And he brought in Barnabas as a substitute for Helen. He would not allow his new, proto-orthodox Paul to have a female companion who accompanied him in his travels. Do we not have the right to eat and drink? Do I not have the right to take along a believing wife, as do the other apostles and the brothers of the Lord and Cephas? Or is it only Helen and I who have no right to refrain from working for a living? That Simon took along a woman with him was noted by the early heresy-hunters: “He led about with him a certain Helen…” (Irenaeus, Against Heresies 1, 23, 2); “And after he had purchased her [Helen’s] freedom, he took her about with him…” (Hippolytus, Refutation of all Heresies 6, 19). Clement of Alexandria clearly understood the yokemate in Philippians 4:3 to be Paul’s wife. And Eusebius did not contest his interpretation. And Eusebius, in his Church History (3, 31), quotes Clement’s words without contesting his interpretation in any way. Gender and manuscripts . . .
Now in the current text of Philippians “syzege” is modified by the adjective “gnesie” (“true”) which is in the masculine gender. If that adjective was part of the original text the “yokemate” could not have been a woman. But both Clement and Eusebius were Greek-speaking. It seems unlikely in the extreme that both of them could have overlooked the gender of the adjective. To my mind, it is much more probable that in the manuscript they used the adjective was either absent or it was feminine in form. One way this could have happened was if a proto-orthodox redactor changed the text early on to remove Simon/Paul’s wife from it, but his update did not make it into every manuscript. The first of the divine syzygies [“yokemates”] . . .
Simon claimed that he and Helen were the uppermost of the three divine syzygies. He was the Great Power (Acts 8:10), the Nous, i.e., Mind of God. And his syzygy Helen was his First Ennoia (sometimes Epinoia), i.e., his Great Thought that he came in search of after she was taken captive by the angelic powers she had generated. Thus, it seems quite appropriate that Simon/Paul would address Helen as his yokemate, and he may in fact have done so in Philippians 4:3. 12. All things are lawful for me, but not all things are helpful. All things are lawful for me, but I will not be brought under the power of any. 13. Food is for the stomach and the stomach for food—and God will destroy both one and the other. The body is not for fornication, but for the Lord and the Lord for the body. 14. And God raised the Lord and will also raise us up by his power.15. Do you not know that your bodies are members of Christ? Shall I then take the members of Christ and make them members of a prostitute? Never! 16. Or do you not know that he who is joined to a prostitute becomes one body with her? For, as it is written, “The two will become one flesh.” 17. But he who is joined to the Lord becomes one spirit with him. 18. Flee from fornication. Every other sin a person commits is outside the body, but he who commits fornication sins against his own body. 19. Do you not know that your body is a temple of the Holy Spirit within you, whom you have from God? You are not your own, 20. for you were bought with a price. Therefore glorify God in your body. The meaning of this passage continues to be elusive for New Testament scholars. Quoting his former radical views or someone else’s slogans? The meaning of this passage continues to be elusive for New Testament scholars. The radical sentiments expressed in its first few verses have always been a problem. Some have proposed that Paul is quoting opinions he held in his younger days, and that in the remainder of the passage an older and wiser Paul revises them. But others find the ideas expressed in 6:12 – 14 too radical to have ever been Paul’s in the first place. Surely, they claim, he is quoting someone else’s slogans. Unfortunately Paul gives not the least hint either that that he is changing his mind about some former statements of his, or that he is quoting someone else. Proponents of these scenarios, however, generally get around that difficulty by surmising that Paul knew his readers would perceive on their own what he was doing. If he doesn’t tell them he is quoting his own former assertions or slogans of others, it must be because they were already familiar with the assertions or slogans in question. The words are seen as too radical to be Paul’s . . .
Of these two most common approaches to the passage the “slogan quotation” solution is the more widely held. But there is disagreement about which words belong to the alleged slogans. Some would limit them to “All things are lawful for me” and “Food is for the stomach and the stomach for food.” This was the position, for example, of those responsible for the RSV and ESV translations. But others (for instance, the NIV translator) see the assertion that “God will destroy both the one (food) and the other (stomach)” as part of the slogan. Some see them as gnostic or proto-gnostic. . . Note the gnostic or quasi-gnostic context in which freedom is discussed, both here and in chapters viii and x; also the ground given for bodily freedom—the body is perishable, and its acts are therefore insignificant (The First Epistle to the Corinthians, p. 145). But those scholars who insist that gnosticism began only in the second century necessarily look elsewhere. Cynicism and Stoicism are two alternatives that have been proposed. How to explain Paul’s surprising response? And he doesn’t give a single example here of something that is lawful but not helpful. The kind of response one would expect is a definite: “No, all things are not lawful for me. Fornication, for example, is not lawful for me. Nor are all the other things I just mentioned that prevent one from entering the kingdom of God” (see 1 Cor. 6:9-10). There is a disconnect between Paul’s tepid response to the alleged slogans in verses 12 and 13, and his forceful rejection of fornication just two verses later in the passage. And it doesn’t do justice to it to just say: “One must acknowledge a certain lack of correctness in Paul’s train of thought” (Walter Schmithals, Gnosticism in Corinth, p. 233). Other surprises . . .
— Verse 6:15a (“Do you not know that your bodies are members of Christ?”) is the only place in the whole Pauline corpus that says the “bodies” of Christians are members of Christ. Similarly, Verse 6:19 (“Do you not know that your body is a temple of the Holy Spirit within you…”) is the only place in the Pauline corpus where the “body” of a Christian is said to be a temple of the Holy Spirit. Earlier right in 3:16ff of this very letter it is the community that said to be God’s temple. — In 6:15b there is an unexpected switchover to the first person singular: “Shall I then take the members of Christ and make them members of a prostitute?” Both in the verse that precedes this one and in the verse that follows it Paul uses the second person plural. Why this switch that Jean Héring calls “most surprising”? (The First Epistle of Saint Paul to the Corinthians, p. 43) Héring thinks some textual corruption must have occurred at this unfortunate spot. I will propose a different explanation. — In his argument against fornication in 6:16b Paul approvingly cites an Old Testament verse about sarx (flesh): “For, as it is written, ‘the two will become one flesh.” In the Paulines the sarx is regularly disparaged. It is a bit unexpected, then, for him to have recourse to a “sarx quotation” here. — Verse 6:20 says we were bought for a price, “for cash” (Conzelmann, 1 Corinthians, p. 113), with no elaboration. This is surprising for, from a proto-orthodox perspective, the price paid was the infinitely precious suffering and death of Christ. We see this expressed, for example, in 1 Peter 1:18-19: “… realizing that you were ransomed … with the precious blood of Christ as of a spotless unblemished lamb.” By contrast, the verse here in 1 Corinthians looks naked. Jerome apparently thought so too, for he added a word in his Latin Vulgate translation: You were bought at a great price (emphasis mine). These then are some of the puzzles in the passage. My hypothesis, I maintain, can plausibly untangle it and solve its puzzles. 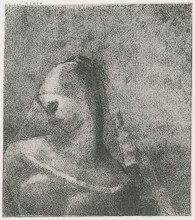 12b. All things are lawful for me, and I will not be brought under the power of anyone. 13. Food is for the stomach and the stomach for food—and God will destroy both one and the other. 17. But He who is joined to the Lord becomes one spirit with him. 19b. You are not your own, 20. for you were bought with a price. Therefore glorify God. The passage does indeed express gnostic sentiments. He is not quoting anyone. He is rejecting all Jewish food regulations. Verses 6:12b and 13 do indeed express gnostic sentiments but they are those of the original author of the letter, Simon of Samaria. He is not quoting anyone. It is he who is here rejecting all Jewish food regulations. His meaning is: “All things are lawful for me to eat.” It is the equivalent of the “All foods are clean” of Mk. 7:19. The ones who would enslave by means of food regulations are the world-making, Law-imposing angels. The enslavement referred to when Simon/Paul says “I will not be brought under the power of any” is that which the stoicheia (element-angels) try to impose by means of the Law. The gender of “any” is usually taken to be neuter and translated as “anything.” But it can also be taken as masculine with the meaning “anyone,” and I maintain that is its sense here. The ones who would enslave by means of food regulations are the world-making, Law-imposing angels. And to Simon/Paul should be attributed the gnostic disparagement of the material world reflected in the assertion that “God will destroy both one [food] and the other [stomach].” Food and the stomach are both equally material, and perishable, and thus not religiously significant. The reason all foods are lawful is not because of some change introduced in the divine dispensation. No, Simon held that use of all material things has really always been lawful because the material world is the inferior product of inferior powers. The material things that God will ultimately destroy are the same things that, according to Colossians 2:21, “perish with use.” Yet Simon/Paul’s opponents continued to insist that his followers subject themselves to the ordinances regarding material things that the Law-imposing stoicheia angels put in place (see Col. 2:20-21). But he who is joined to the Lord becomes one spirit with him (6:17). This is the gnostic teaching that man’s spirit is in fact an extension of God, the disconnected sparks of divinity that seek to reconnect to their source. And that great reconnection commenced when the Spirit herself, Helen, was released from the powers that held her captive. The moment of that release was when Simon purchased her from a brothel in Tyre with cash. And included in that purchase of her was the purchase of our spirits too—separated extensions of her. So “You are not your own, for you were bought with a price. Therefore glorify God” (6:20). All things are lawful for me, and I will not be brought under the power of anyone. 13. Food is for the stomach and the stomach for food—and God will destroy both one and the other. 17. But he who is joined to the Lord becomes one spirit with him. The opening verse of the passage (“All things are lawful for me, but not all things are helpful”) does not belong with the rest of it. It is misplaced, having been brought in from elsewhere in the letter. Its original location was at the other place it occurs in 1 Corinthians, at 10:23. There it makes sense. There it is used in the context of eating meat sacrificed to idols. Such eating is lawful, but there are circumstances where it can be helpful to avoid it. It does not fit in 6:12-20 where not a single example is given of something that is lawful but unhelpful. The next interpolation serves two purposes. First, it corrects verse 13’s gnostic disparagement of the material body. This is the proto-orthodox doctrinal zag that renders harmless Simon/Paul’s zig. The material body is not insignificant. It is for the Lord. And it will not forever perish. It will be raised by the Lord’s power. The body of a Christian is a member of Christ. Shall I then take the members of Christ and make them members of a prostitute? Never! The interpolation that follows the authentic verse 17 continues to discreetly target Simon/Paul and Helen. In the Simonian system Helen was the Holy Spirit, and it was from Simon that she was had. This gets corrected in verse 19 by the words: “the Holy Spirit… whom you have from God.” It also makes material bodies the Spirit’s temples. Last, the interpolator added “in your body” to the admonition to glorify God in verse 20. In their current state the Pauline letters refute those who would claim that Paul took a prostitute about with him. They assure us that he did not even take along a spouse. He only claimed the right to do so. Perhaps that is where the misunderstanding arose. And the apostle definitely would not have had sexual relations with a prostitute. His direct and forceful words in 1 Corinthians 6:15 rule that out. Posted on 2013-11-20 12:31:48 GMT+0000 by Roger Parvus. This entry was posted in Paul and His Letters, Roger Parvus, Simonian Origins and tagged Paul and his letters, Roger Parvus, Simonian Origins. Bookmark the permalink. One of the aspects you’ve touched upon here and there is how Pauline doctrines reflect Simon’s pre-Christian gnosticism. 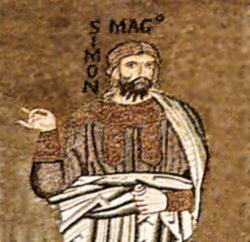 I think a post outlining Simon’s system and how they can be found intact and/or reworked to fit his new Christian belief in the letters would be megas. And perhaps how the Simonian system evolved with gnostics like Basillides and Valentinus (for example, Simon’s aeonology and Valentinian aeonology). Yes, at some point I will probably put together a post that summarizes my tentative thoughts regarding the transition from Simon’s Apophasis Megale teaching to his subsequent Christian theology. I have no desire, however, to devote much time to how Simonian gnosticism evolved into that of Basilides and Valentinus. The further that gnosticism got away from its roots the more complicated and bizarre it became. And the less interest I have in it. I didn’t mean in the technical sense, but rather in a genealogical one. I think it’s a good way to support the Simonian theory. That a prominent gnostic like Valentinus claimed a lineage back to “Paul” yet somehow appropriated himself a system eerily like Simon’s is striking. Basilides too, considering that his teacher was supposedly Menander, and that he held that Simon Kyrenaios was the one crucified, not Jesus (who is called Christ). The moment of that release was when Simon purchased her from a brothel in Tyre with cash. But the story of prostitute of brothel in Tyre, etc., was for you — and Simon — not (at least, not only) a metaphor of female Spirit imprisoned in flesh, etc. but was a historical fact, too ? Paul took a real prostitute as wife? For Detering this is clearly only a metaphor. I prefer to believe true the story/metaphor of prostitute of Tyre, more than believe that Paul wrote these quoted words. Simon of Samaria seems a bit megalomaniac for me (but not so much as the irrational HJ of Bart Ehrman) when he alludes to his and his wife secret divinity. But this Simon is more and more probable than a schizophrenic Paul that repeats ad nauseam: “I claim this, but not that, I claim that, but not this”. A Paul that defines (hardly) himself by continuous, incomprehensible process of auto-affirmation (before) and auto-negation (after). Ant yet that schizophrenic is the same Paul that I have always held in mind. Obviously you suspect that Paul was in prison only in Judaea and not in other places, because he was threatened to be killed only from Judeo-Christians send from Pillars and was protected (the ”prison”) from his Roman friends as Felix. But that Paul was in prison or threatened out of Judaea, too, is a proto-orthodox story and then not historical. very thanks for this series, Roger. Now Richard, too, highly recommends your writing. Regarding the Caesarea imprisonment: There have always been scholars who held that Philippians was written at Caesarea. The case for this is discussed, for instance, by J. J. Gunther in his “Paul: Messenger and Exile. A Study in the Chronology of his Life and Letters.” If my Simonian hypothesis is correct, Caesarea would make best sense too as the place of composition for Philippians. In this scenario Simon Atomus/Paul would be released from there, perhaps in connection with the favor he does for Felix according to Josephus in Antiquities 20,7,2. He then eventually makes his way to Rome as a free man. All of the proto-orthodox heresy-hunters have Simon eventually reaching Rome, but none of them say he was a prisoner there or was led there as a prisoner. I certainly don’t like this active conspiracy idea. It makes no sense for TAFKasLuke to first do his best to rewrite the life of Paul to conform to 2nd century sensibilities, only to then show his hand like this. Sili’s ‘amuse’ indicating ‘active conspiracy’ is a good point. Maybe there were too many ‘we’s to replace with ‘I’ or ‘they’. Maybe the ‘we’s are direct quotes showing the source. Unfortunately there is no way I can speed up the release of my posts here. I am not yet retired and still need to work a job that pays the bills. Finding free time for my Christian origins hobby is often difficult. With the holidays approaching and the family obligations that go with that, I expect free time is going to be even harder to come by. But I think that in the first six posts I have given enough examples to illustrate my hypothesis that the original Pauline letters were written by Simon and Menander. So I will move on in the next posts and begin to present my scenario for the origin of Paul’s gospel and how it led to GMark. I have been reading the comments around and about this blog where you go into more detail about Paul and GMark being Simonian. I feel like I have just swallowed the red pill! I think you are rly on to something of huge importance. Roger, there are other 2 points where perhaps Paul/Simon Atomos is present in Josephus. A bit after the Testimonium Flavianum, in Book 18 of Ant., there are the dramatic episodes of Paulina and Fulvia. About the latter episode of Fulvia, Eisenman thinks that that ”fugitive Jew” was just Simon, in virtue of common need of money to send for the ”poors” in Jerusalem. I remember that, for some scholars, Chrestus of Claudius was a riotous freedman of coort of Claudius. I have speculate about this (but securely it is only my fantasy) and I wondered if the Jews in Roma under Claudius were expelled impulsore Chresto, i.e., because the philo-Roman (and anti-Zealot) Simon, with his ”Chrestos God” or with the episode of Fulvia (or both), was the indirect origin of riots. The problem of this view is obviously the simple fact that was Claudius and not Tiberius to expel the riotous Jews from Roma, in Svetonius. While is Tiberius that ‘expulit’, in Josephus. About the anonymous Jew that persuades prince Izates of Adiabene to be Jew with no need of circumcision, Price thinks that he is the same Simon Atomos (p.263-264 of Amazing colossal apostle). the second point is securely more probable than the first. I must admit that the relationship between Simon and Helen is probably the greatest barrier I have to accepting the theory that Simon and Paul are the same person. I have always understood Paul to be single and have tended to think he may actually share the same negative view to marriage as the Encratites, as seen in the Acts of Paul and Thecla. This is a view he may have inherited from the Essenes. Have you had a chance to read this excellent article? Yes, Neil recommended that great blog back in 2014 (“One More Worthy Biblioblog”, 2014-12-16) and I’ve been following it ever since. Do you think the gnostic relationship between Jesus and Mary Magdalene is based on Simon and Helen? Yes. See part 16: Mark as Allegory. I was just reading in Irenaeus’ discussion of Saturninus: “They declare also, that marriage and generation are from Satan” (Against Heresies 1.24.2). How does that fit in with Simon’s relationship with Helen? Would he have condemned Simon as a sinner? Was Simon not really married to Helen? Was his view of marriage different from Simon’s? Whenever Irenaeus mentions something distinctive about someone’s theology, as in this case, it makes me think that the others he has just been discussing did not believe this. But in your discussions, you seem to assume that whatever is said about Menander, Saturninus and Basilides applies equally to Simon. Could this be a mistake? “For picking up a roving woman, called Helen, who originated from the city of the Tyrians, he took her about with him, without letting people know that he was on terms of undue intimacy with her; and when he was involved in bursting disgrace because of his mistress, he started a fabulous kind of psychopompy for his disciples, and saying, forsooth, that he was the Great Power of God, he ventured to call his prostitute companion the Holy Spirit, and says that it was on her account that he descended.” (Against Heresies, 2,2, G.R.S. Mead’s translation). Regarding Simon, Menander, Basilides and Saturninus: There is really too little extant information to know much with certainty about their teaching, but the impression conveyed by the early anti-heretical writings is that doctrinal innovation was ongoing among them. I would not be surprised if that was so. Further on this topic of whether Simon shared the views that Irenaeus points out as possibly distinctive to Saturninus is found in the very next sentence after mentioning their negative view of marriage: “Many of those, too, who belong to his school, abstain from animal food.” This makes me think of Paul’s reference to the “weak person” who “eats only vegetables” (Rom. 14:2). Either this is an example of Paul/Simon differing from Saturninus, or it is a proto-orthodox interpolation attacking the Simonian vegetarian diet. Of course, it is also possible that Simon shared all these views and that Irenaeus has only heard these teachings in connection with Saturninus. Roger, Do you think the story of Paul and Thekla could have been based on Simon and Helen, but transformed into a chaste relationship to match the Encratite beliefs? Seems unlikely to me, since the story contains hardly any parallels between Thekla and Helen. At one point Thekla accompanies Paul to Antioch but that’s about it. Do you think the story of Jesus’ visit to the woman in Tyre with a demon-possessed daughter is based on Simon and Helen (Mark 7:24-29)? I do. See part 16 of the series.